The labour action is the first test for recently re-elected Prime Minister Sheikh Hasina, in her fourth mandate. The government has raised wages for entry-level workers. Some 4,500 textile and clothing factories operate in Bangladesh with exports worth US$ 30 billion. 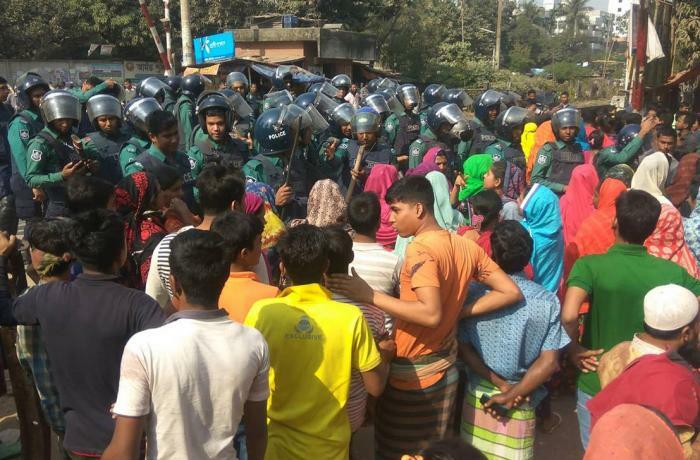 Dhaka (AsiaNews/Agencies) – Clashes in Savar, on the outskirts of Dhaka, have left one dead and 50 injured, following three days of strikes by garment workers in Dhaka, Savar and Gazipur. Workers are demanding better wages and changes to the new wage structure that favours entry-level workers. To restore calm, the newly-appointed Minister of Labour and Employment Begum Monnuzan Sufian said that “if there are discriminations in pay structure, they will be resolved within a month”. The victim, Sumon, a 22-year-old man, was hit by a bullet fired by agents in the Ulail area. Together with thousands of others, he was protesting against the salary hike for entry-level workers. Workers complain that the monthly wage in the seventh grade increased from Tk 5,300 (US$ 63) to Tk 8,000 (US$ 100), which is more than their senior operators, who have been working for more than seven to eight years. 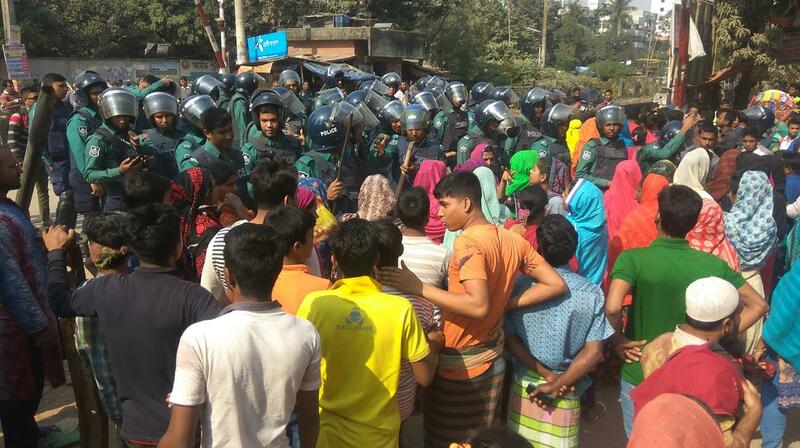 The demonstrations are the first test for Prime Minister Sheikh Hasina, who was re-elected for a fourth mandate. In Bangladesh, the garment industry, especially the export sector, is a cornerstone of the country’s economy, making it the second garment exporter in the world after China. At least 4,500 textile and clothing factories produce some US$ 30 billion worth of apparel for Western labels – both luxury and low-cost – like H & M, Zara, Walmart, Tesco, Kappa, Tommy Hilfiger and Calvin Klein. The workforce is made up mostly of women and working conditions are poorly regulated. Work-related accidents are commonplace. The most serious incident occurred in 2013 when the Rana Plaza complex in Savar collapsed killing more than 1,300 people.